Is Your Picky Eater A Constant Challenge? 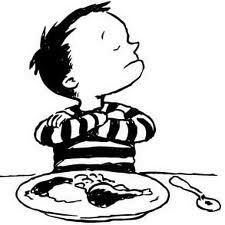 What can a parent do to meet the constant challenges of a picky eater? It can be an overwhelming task to provide a healthy diet for a child with a very selective, restricted diet. We know that a healthy diet is needed for overall best health, growth, learning and performance. As a parent you want your child to have every opportunity to be their personal best. • It is so important to rule out or address any medical issues (gastrointestinal or oral motor) that may be at the root of the problem with a family physician and/or paediatrician. • Is it food allergies or intolerances? Try eliminating some foods that can be problematic: dairy, wheat, sugar, additives, gluten and then reintroduce one at a time, noting any adverse reaction. Consider allergy testing. • Perhaps there are sensory issues at play. Record all the foods your child has eaten and those they consistently refuse. You can analyze and categorize this list: textures, tastes, temperatures, smells; to later discuss with a health care professional, occupational therapist or dietician. • If all of the above concerns have been ruled out or properly addressed and you are still dealing with a picky eater then there is a good chance that you are dealing with a child who has learned how to be in control. Children needing to be in control in their environment (for varying and not bad reasons) learn at a very young age that they can do this with food. Often your endless efforts to introduce new foods are unsuccessful and you are pretty much forced to give in to their plan. You, like many parents, never run out of the foods your child will eat and you probably provide these foods on demand in your effort to make sure your child is eating enough. This is understandable when you finally decide you have fought your last battle. A child has to eat and you will do what you can so they won’t be hungry. So your child is in control of food choices. So now what do you do? My suggestion would be to let them maintain control of their food choices but within parameters that you establish that will guide them to make healthier choices. This is your opportunity to teach your child some nutrition and independence in making choices. We know that children learn best in play situations, so try to make it fun, like a game. Use strategies and reinforcers that you know work. Make family meal planning part of your daily routine; let your child (children) take the lead. If you are consistent and persistent with your plan you may soon be able to start making one meal for everyone and no longer have to deal with the constant challenges of a picky eater! Jean Nicol is the Inventor and Patents owner for The Eating Game. She is the owner of the business EYECAN CREATIONS Publications, the home base for all business related to The Eating Game. Jean is a retired Special Education Teacher who is a very passionate autism advocate. Her inspiration for creating The Eating Game was an autistic boy whose family wanted the best for him, starting with good health promoted by healthy eating. The Eating Game accomplished that for him and now many more children and their families around the world. Learn more at http://theeatinggame.ca/ Jean enjoys contact with Eating Game users and will reply to emails as quickly as she can to answer any questions or concerns.